CONTACT: Please click here to contact Basiscape international. BASISCAPE INTERNATIONAL is an independent music & sound production company based in Tokyo, Japan. Specializing in music composition and sound design for video games, Basiscape was created in 2002 by veteran composer Hitoshi Sakimoto (FINAL FANTASY XII, Valkyria Chronicles), whose extensive career and industry experience leads the company as president and head composer. 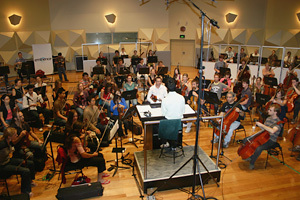 Joining Sakimoto are nine other arrangers, composers, sound manipulators and sound FX designers. 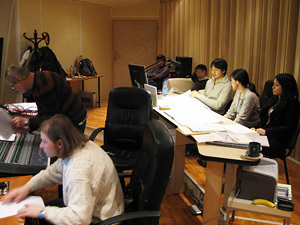 Each artist brings their own style of composition to the company, while Basiscape's sound manipulators are specialised in handling the different game integration requirements needed for today's consoles, handhands, mobile and computer devices. We are also able to provide in house interpreting from English, Korean and Mandarin into Japanese to communicate swiftly and accurately between all international clients and the Basiscape team. English speaking representatives are also available in USA and Australia in order to accommodate working within international client's timezones. Music composition for all digital media including games, television and film. - Click here for music previews available on Basiscape's website. For all previous credits please click here. - To contact Basiscape international, please click here. - For matters relating to Hitoshi Sakimoto, please visit www.sakimoto.jp. Please note that due to volume of emails we receive, we can not guarantee a reply to fan emails, nor can we accept unsolicited material.